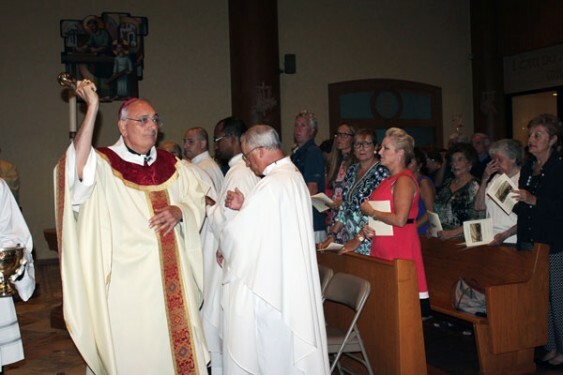 Surrounded by dozens of priests and hundreds of parishioners, Bishop Nicholas DiMarzio rededicated the newly refurbished St. Mel’s Church on Friday evening, Sept. 9. 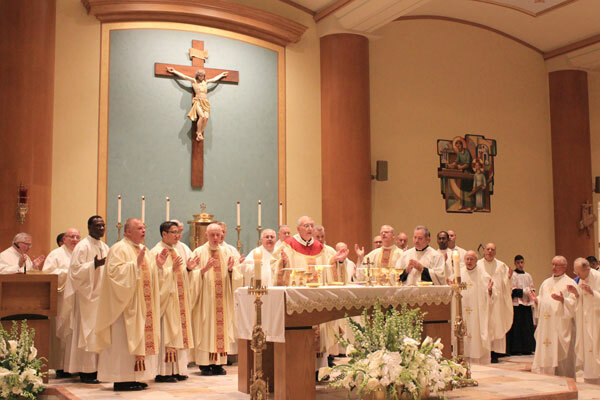 This year, the parish is marking 75 years of service to the Flushing and Whitestone communities, and the Mass of rededication was the highlight of a yearlong celebration. 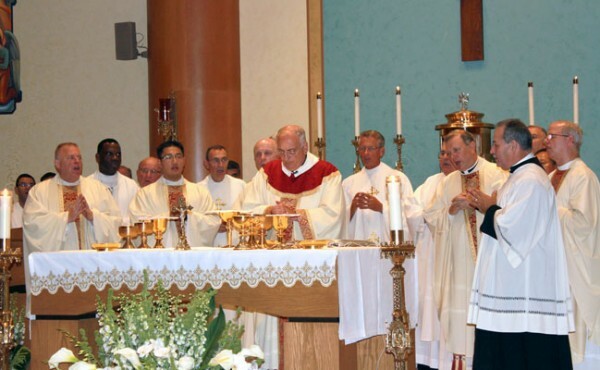 Brady and others watched with pride as Bishop DiMarzio anointed and incensed their church altar. The rededication ceremony included the litany of saints, the anointing of the church walls and the lighting of the church and its candles. 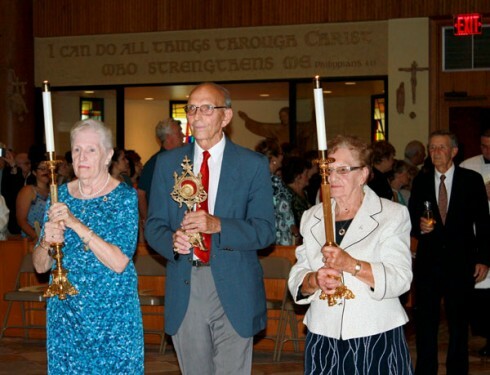 Members of the parish St. Vincent de Paul Society, including Rita Higgins, far right, carried the relics of saints Vincent de Paul and Louise de Marillac in the entrance procession. The bishop also placed relics of saints Vincent de Paul and Louise de Marillac – a nod to the parish St. Vincent de Paul Society – inside the altar stone. Founded in the 1970s, the parish’s St. Vincent de Paul Society is known for its outreach within and beyond the local area: providing an in-home assistance program for older adults, twinning with less fortunate parishes and aiding local charities like Hour Children. Helen Donnelly, longtime president of the society, died just days before seeing the completed renovation. Her family was present at the rededication Mass. Donnelly was also remembered in the homily offered by Msgr. Kieran Harrington, diocesan vicar for communications and a native of the parish. 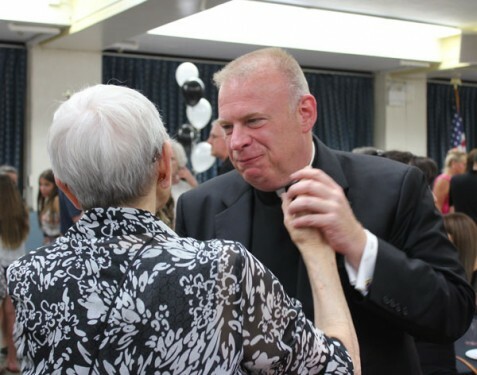 The monsignor recalled growing up in St. Mel’s, and the priests, religious sisters and lay people who made an impact on him. “Really when you think about St. Mel’s, you don’t think about the building so much, you think about the people,” he said. “Today, on a Friday, this church is packed. 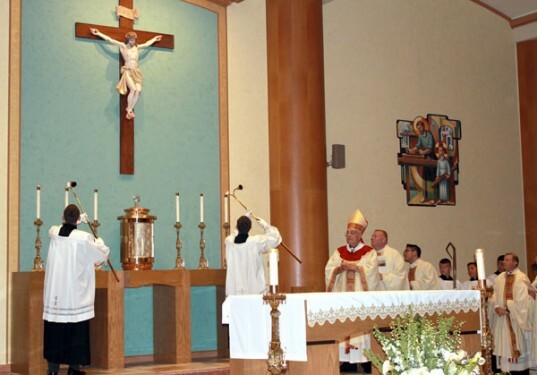 That is a testament to you,” he told the parishioners. St Mel Church: Before and After. 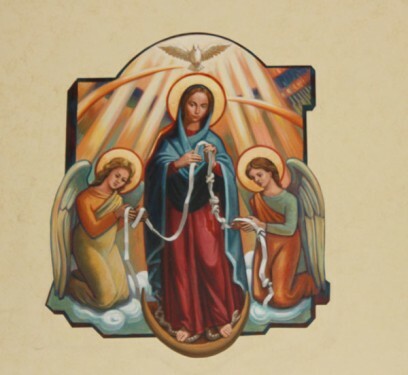 (Courtesy St. Mel Church) Click to enlarge. In renewing and elevating the church’s aesthetic, the parish contracted EverGreene Architectural Arts, which oversaw the renovation of the Co-Cathedral of St. Joseph, Prospect Heights. Father Sauer, Father JunHee Lee, parochial vicar, and members of the parish pastoral and finance councils worked with EverGreene’s director of sacred spaces Emily Sottile, to consider spiritual and liturgical features along with functional and financial aspects. 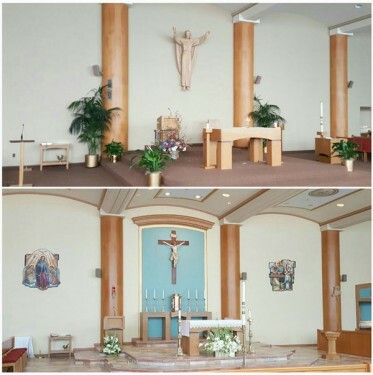 Interior renovations include the restoration of the original crucifix and tabernacle to the center of the altar, replacing carpeting with tile, new paint, reimagined chapel and confessional areas, murals of Mary, Undoer of Knots and St. Joseph on either side of the altar and 18 hand-designed and hand-painted ceiling medallions. 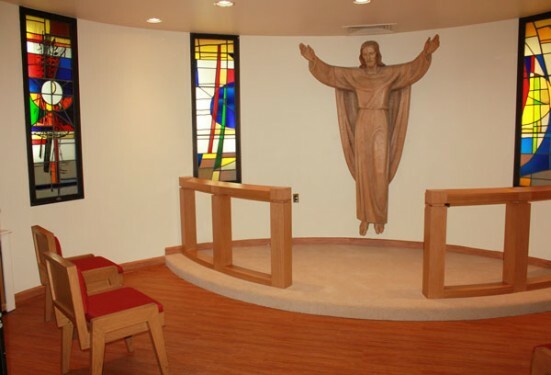 The renovation was funded entirely by parishioners through the Generations of Faith capital campaign. 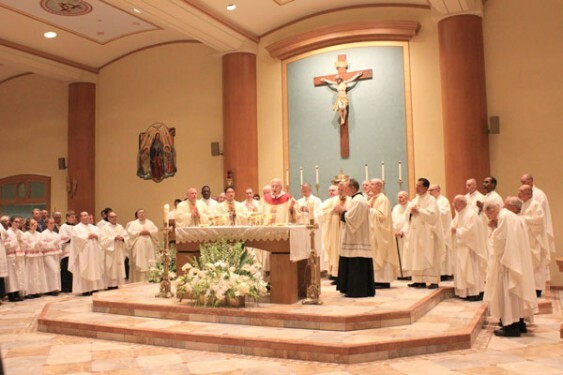 The diocese set $800,000 as the parish goal, and $1.6 million as a challenge goal. Parishioners responded by pledging over $2.4 million. Being pastor in this anniversary year and overseeing the renovation has been “a wonderful privilege,” Father Sauer said. 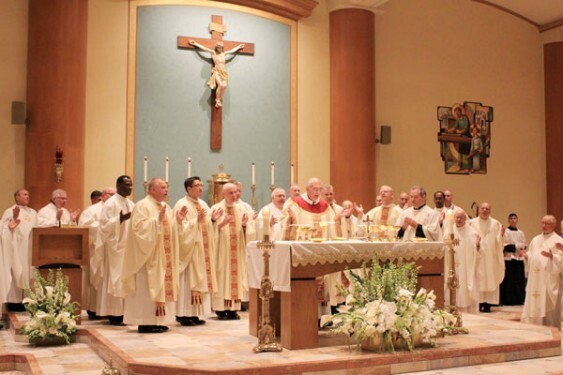 Carved from the parishes of St. Luke, Whitestone, and St. Andrew Avellino, Flushing, St. Mel’s parish was established in February, 1941, by Bishop Thomas E. Molloy to meet the growing population of Irish Catholics in north Flushing. 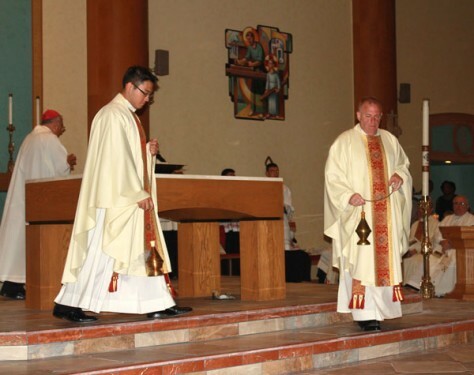 Father Terence Sharkey was the first pastor, who served just shy of three months. Longtime parishioners still recall the early days when Mass was held in a Bayside Ave. storefront, then home to the North Flushing Democratic Club, and now a hair salon. Usher Bill Brady was a sixth-grader at St. Andrew Avellino School at the time and recalls setting up chairs for those storefront Masses with his siblings. 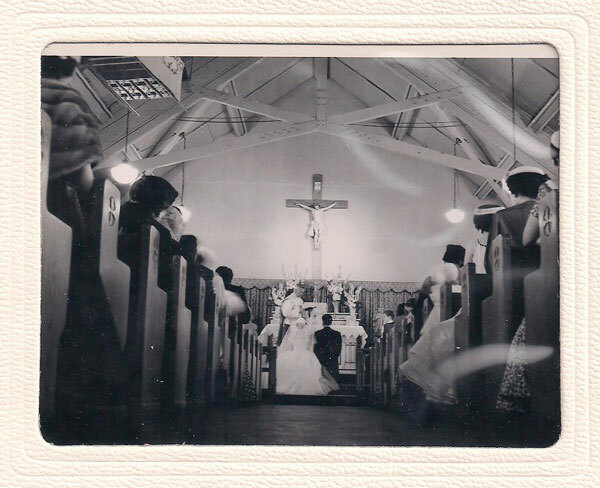 St. Mel Church circa 1940. This wood-frame building is now St. Pius X Church, Plainview, L.I. 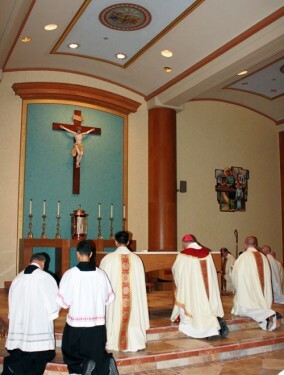 (Courtesy St. Mel Church) Click to enlarge. 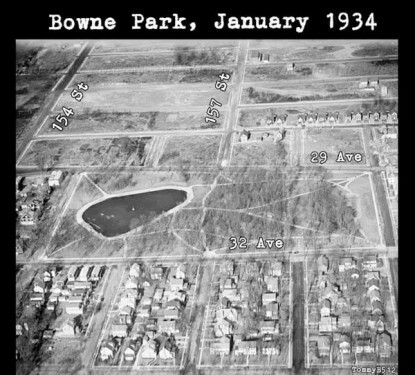 Masses soon moved to a large tent on Bayside Ave. and Murray St. before a temporary wooden church was dedicated in 1944. A decade later, the building was moved on a flatbed to Plainview, L.I., where it still serves as St. Pius X Church. Ground was broken in July, 1954 on the current church, which was intended as a church and an auditorium with the hopes that it might serve as the gym for a parish school one day. 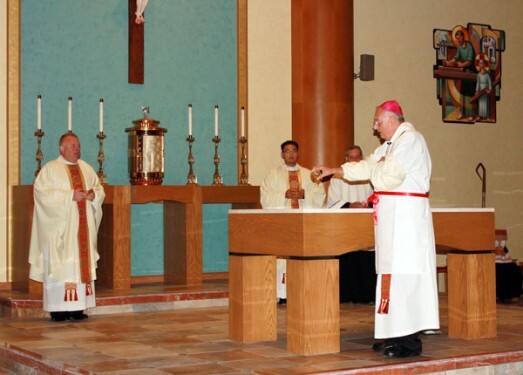 Auxiliary Bishop Edmund J. Reilly dedicated the church in 1955. 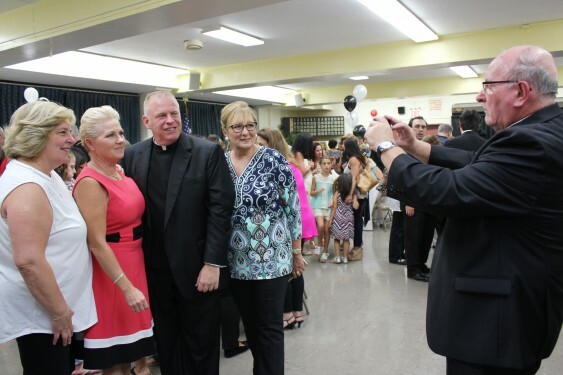 Five years later, the parish realized its dream of opening a school under the direction of the Sisters of St. Joseph, and later the Sisters of St. Dominic. 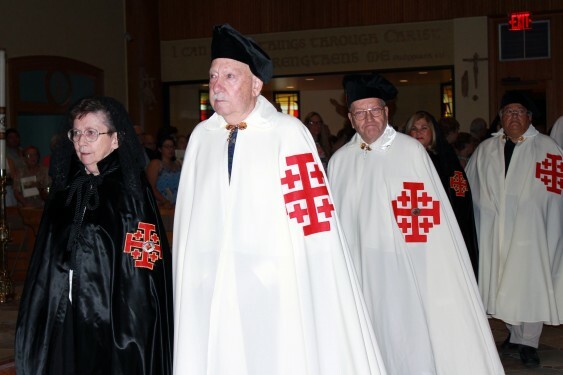 Both religious orders were represented and recognized at the rededication Mass. 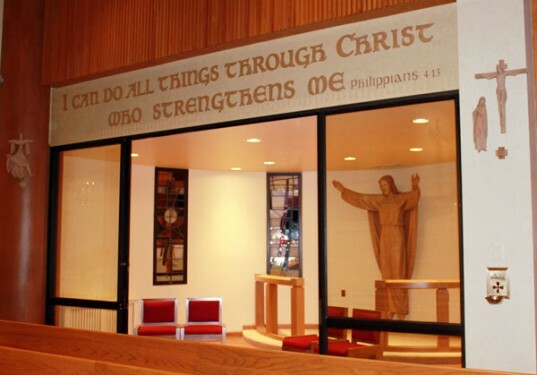 The school transitioned to an academy in 2014 and continues to education local children in faith and academics. 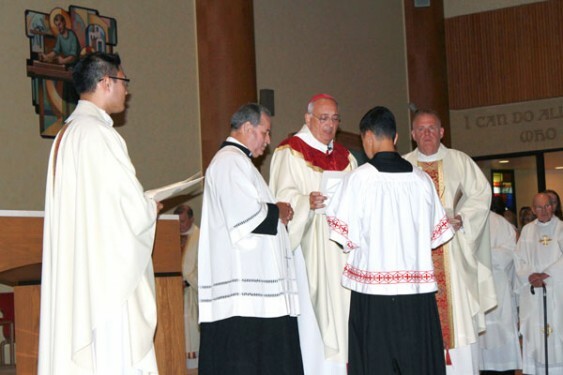 Through the years, the parish has produced several vocations, including Father William Rueger, pastor of St. Augustine, Park Slope; Father Peter DeSanctis, pastor of Our Lady of the Isle, Shelter Island; Brother Dan O’Riordan, F.M.S., vocation director for the Marist Brothers, and Msgr. Harrington. 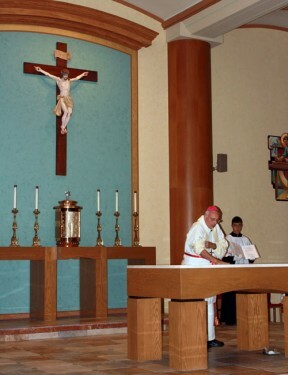 In anticipation of the parish’s 40th anniversary in 1981, the church’s interior was remodeled to reflect the liturgical requirements of Vatican II and the exterior was renovated. Many of the same people who belonged to the parish then are still there now, and have added another generation to their families. 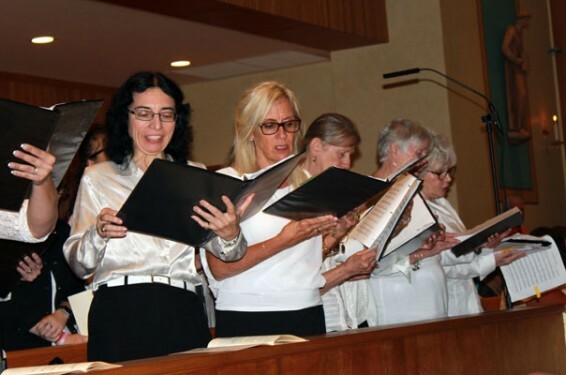 More than 1,100 people attend Sunday Masses – four in English and one in Italian – and the parish family remains predominantly Italian, Irish, German and Croatian. 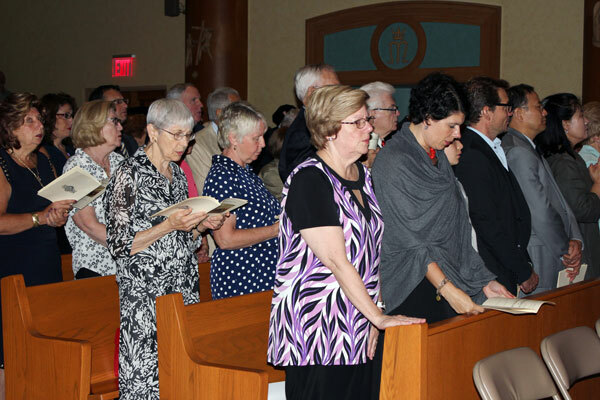 “My whole life revolves around this parish,” said parishioner Rita Higgins, who joined St. Mel’s when she and her husband moved to the area in January, 1951. 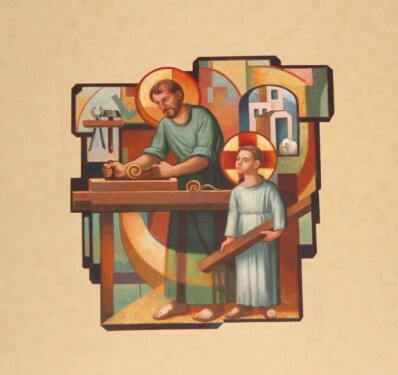 She raised her children in the parish and was involved in various groups. Now in her early 90s, she remains active in the St. Vincent de Paul Society. 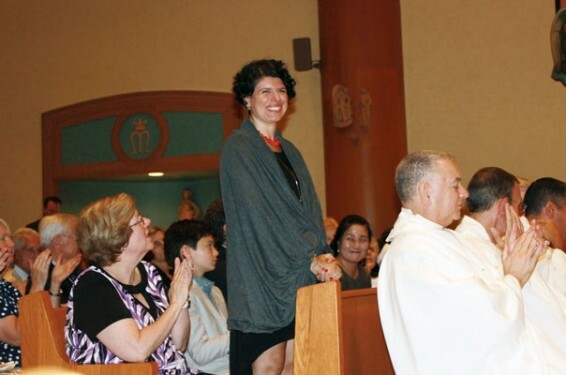 Having received all of her sacraments at St. Mel’s, Kayla Conelli, a student at St. Francis Prep H.S., Fresh Meadows, feels a strong connection to the parish. She attended the rededication Mass with her parents. 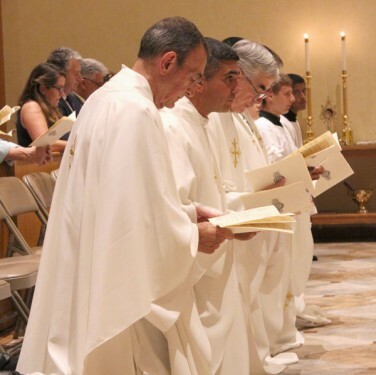 Conelli looks forward to becoming a parish lector later this year. 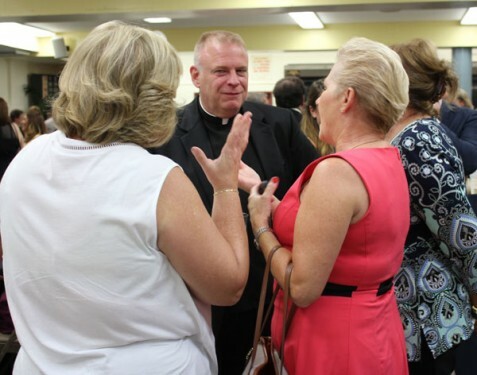 “I don’t know how much further a parish can go than this one,” added Bill Brady. After extending his thanks to the bishop and all who attended the rededication Mass, Father Sauer took a moment to address his parishioners. “Every single day of my life, I thank God for each and every one of you, and I am so grateful for all that you do,” he said. 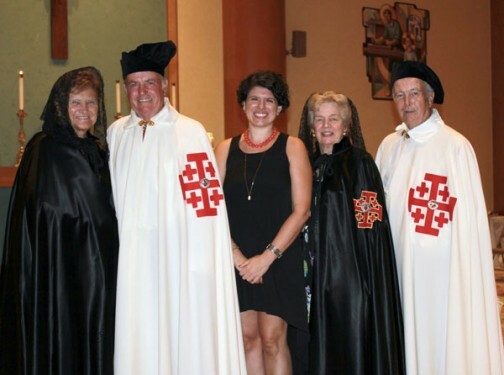 What a wonderful experience it was to be a part of the dedication of St. Mel Church. 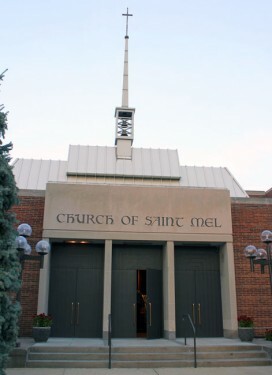 I have always felt that St. Mel Parish was my extended family. Every day is a gift to be able to come to church and be with the people I love and respect. I feel blessed to be a parishioner of St. Mel Church. Thanks to our pastors and priests, I have indeed grown in my faith and love of God the Father, the Son and the Holy Spirit and the Communion of Saints. May our new church renovation bring us much peace, love and joy.